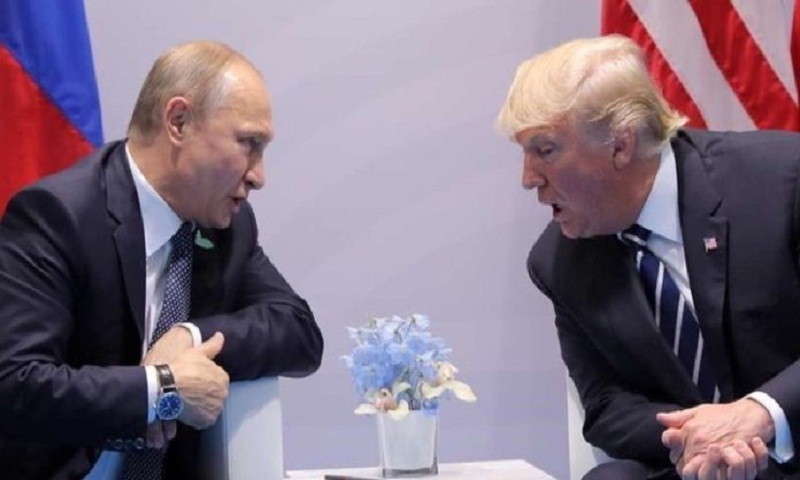 Russian President Vladimir Putin said Saturday he briefed his US counterpart Donald Trump on the Ukraine crisis as he came under pressure over Moscow’s robust foreign policy at the G20 summit in Argentina. Putin said he explained Moscow’s position to Trump when the leaders met briefly at a summit dinner Friday. “We spoke standing up. I replied to his questions about the incident in the Black Sea,” Putin told reporters at the end of the summit. Putin strode into the summit under a cloud, having drawn outrage from Europe over last week’s incident in which his navy detained three Ukrainian ships and 24 sailors — causing Trump to abruptly cancel their scheduled meeting. Ukraine President Petro Poroshenko kept up the pressure from Kiev, saying Putin had refused to take his calls since the crisis started. German Chancellor Angela Merkel took Putin to task at length over the naval spat, a day after French President Emmanuel Macron urged him to “de-escalate” the crisis. Merkel used breakfast with Putin on the sidelines of the G20 summit to voice her “concern” over the tensions in the Kerch Strait off Russian-annexed Crimea. “Of course, we talked about the situation in the Sea of Azov, because it is important to avoid any aggravation,” Merkel said in Buenos Aires. Macron raised his concerns with the Russian leader at one of his first bilateral meetings, pressing him “to make the necessary gestures so that there is a de-escalation,” said a French official. Both European countries are members of the “Normandy Four” group with Moscow and Kiev, set up to resolve the conflict in eastern Ukraine involving Russian-backed rebels. Merkel said she had also discussed Syria with Putin, “especially … the Idlib region,” where a fragile ceasefire has been negotiated between rebels and Syrian army forces backed by Moscow. Her main focus, however, was on the situation in Ukraine. “I want to make it quite clear, though, that free shipping to the Sea of Azov must be guaranteed to the Ukrainian coasts and cities. There is a basic contractual agreement from 2003 on this. Russia must comply with this basis,” she said. Putin — who has praised his navy for defending Russian territory — “provided exhaustive explanations on this incident in the Black Sea, explaining everything in detail, in exactly the same manner as yesterday during his meeting with the French president,” Kremlin spokesman Dmitry Peskov told Interfax. According to a French aide, Friday’s version entailed Putin drawing a map for Macron of the Kerch Strait, to buttress his position that the seized Ukrainian ships had intruded into Russian waters — a claim denied by Kiev. As for Macron, “the main message that he passed on is really that of a de-escalation,” the aide said. “The current Ukrainian authorities have no interest in resolving the conflict, especially by peaceful means,” he said. The November 25 incident in the contested Kerch Strait — which connects the Black Sea with the Sea of Azov — was the first open military confrontation between Kiev and Moscow since Russia’s annexation of Crimea in 2014. Merkel said Germany had suggested a meeting of the Normandy group to discuss the crisis.